Yup 40 weeks of pregnancy is fast approaching – I have days until my due date is here and amongst all the rest and apprehension I am planning my post baby shape up. I know I shouldn’t put myself under pressure to get back in my skinny jeans but I don’t see it that way. I see it as a challenge and can’t wait to get my figure back. As you know I have worked out throughout my whole pregnancy (and still going) so I’m hoping this will help me on my way anyway. Here are a few things that I will be relying on once the bubs is her to get me back on the straight and narrow and get my flat tum back. Bring it on! I love starting the day with a tasty protein shake but since being pregnant I’ve cut these out and turned to eggs, which are more satisfying for my growing baby. I’ve also had the time to get up and cook eggs every morning. Will I be able to do this with a new born? I’m guessing not so much! This appealing Pea protein shake is made using Green tea, Inulin, which is a form of soluble fibre to keep you feeling fuller for longer and Glucomannan, which can hold up to 100 times its own weight in water so you again feel fuller for longer and your blood sugar levels stay stable for hours after your have drunk it. 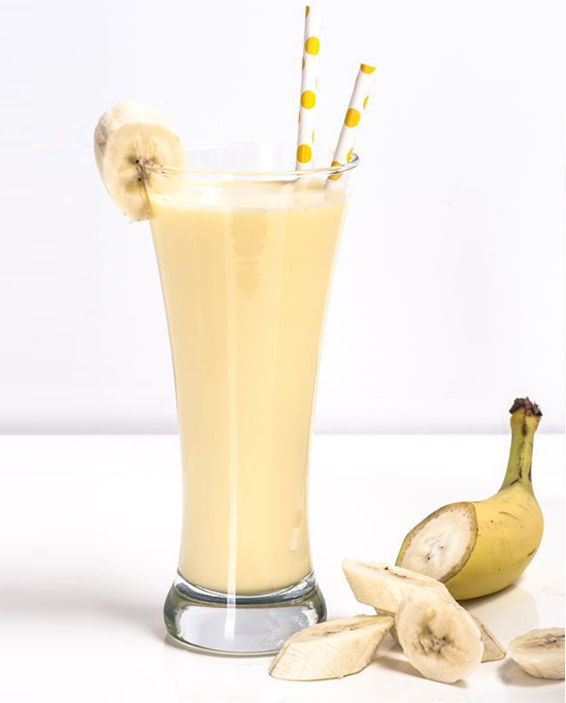 What I like best about this shake is that it comes in banana and butterscotch flavour which will defiantly help satisfy my sweet tooth and stop me reaching for anything naughty. I will defiantly be starting my day with one of these – it’s sugar free too and uses stevia, which is low in calories, low-carbohydrate and is a low-sugar food alternative. During pregnancy and after pregnancy is a key time to get a supportive sports bra that is the RIGHT size. Your breasts will most certainly change shape and size during pregnancy so it’s vital that you give them the support they need. I’m not a huge fan of weighing scales BUT I think in this instance it’s good for me to know how much I weigh post-baby and work at getting down to what I think it my pre-baby weight. I haven’t weighed myself since my wedding but have a rough idea of what I used to be so I will be working towards this. I think scales can be good to start you off on any weight loss journey as you know that you are going in the right direction and it can give you a bit of a boost. I’m never going to be one of these people who obsess over the odd pound but I will be using these at first to keep me accountable and on the straight and narrow. 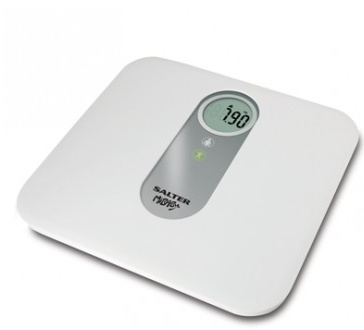 Once I get near my pre-baby weight I will then rely on how my clothes feel and just use these scales to monitor my baby’s growth and development using the baby weight mode. I’m absolutely itching to get to the shops and buy some brand new workout kit. It feels like I’ve lived in baggy tops for the last few months and I just haven’t felt trendy what so ever – which is what I love when going to the gym. If I feel good, then I’m so much more confident and want to work that bit harder to make the clothes look even better! H&M recently launched some amazing sportswear, which is colourful, technical, cute and above all, affordable! The new fitness line includes everything from neon sports bras to sweat-wicking jackets, all priced to be friendly to your wallet. 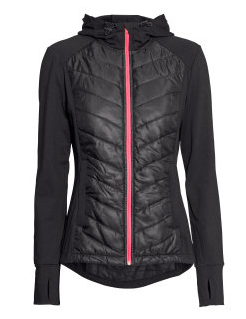 I can’t wait to layer this lightweight jacket with a neon hooded fleece top and tight-fitted leggings. Perfect for all these long walks that I have planned once she arrives.